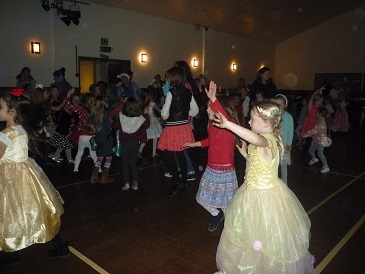 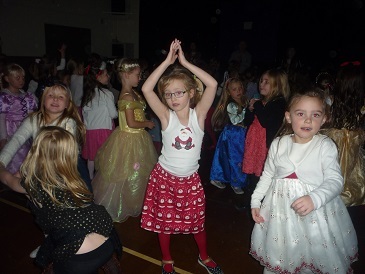 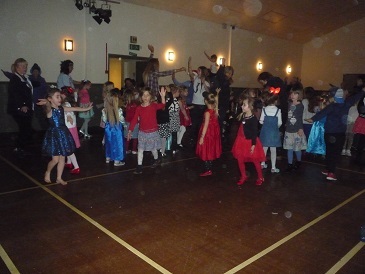 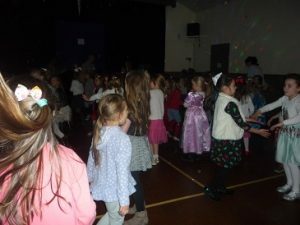 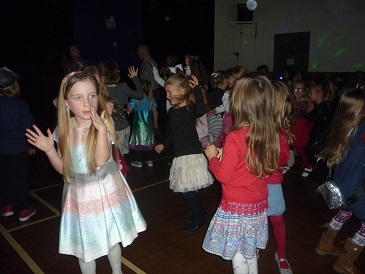 Rainbows from across the Island danced the night away at a pre-Christmas disco recently. 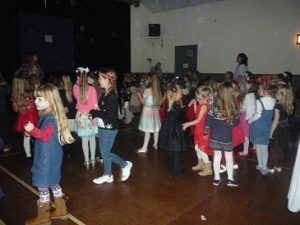 It was one of the few occasions when both the Needles and Puckpool Sections, which between them cover the whole of the Isle of Wight, have joined forces for an event. 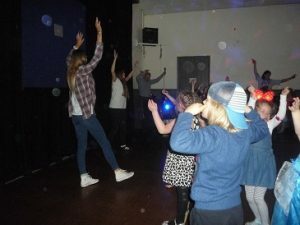 Organised by Carol Firth (Commissioner for Needles) this event saw not only disco dancing, but games and other activities including refreshments. 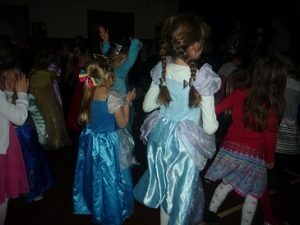 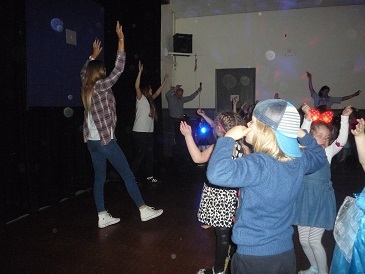 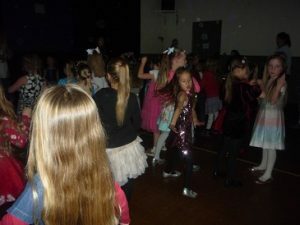 New dances were introduced by Jasmine and Robyn and the disco music provided by DJ Alan. 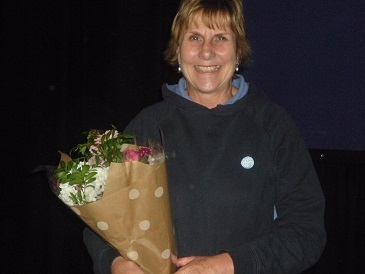 At the end of the evening everyone joined in wishing Carol Firth well and she was presented with a bouquet having been a Commissioner for 10 years. 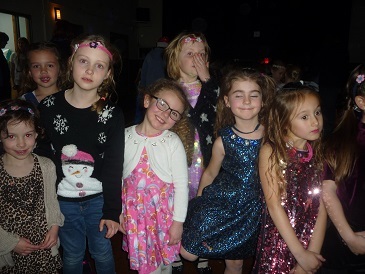 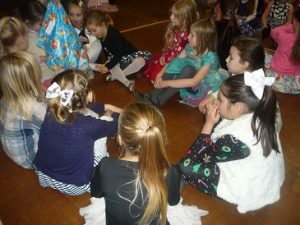 Everyone had a really good time and the Rainbows enjoyed making new friends by meeting girls from various Island towns other than their own area.